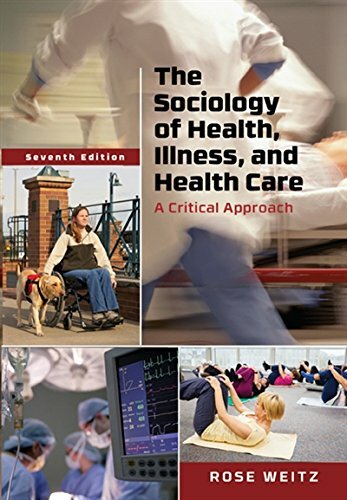 1305583701 -Completely up to date and featuring a friendly style, THE SOCIOLOGY OF HEALTH, ILLNESS, AND HEALTH CARE: A CRITICAL APPROACH, 7th Edition delivers a comprehensive, cutting-edge overview that will challenge you to think creatively and analytically about health and health care. You’ll gain an understanding of how social forces affect who gets ill, how we think about illness, how we get our health care, and what it is like to work in the health care field. You will also have the chance to explore the ethical dilemmas that underlie modern health care as well as the politics behind those dilemmas. Although the text focuses on health within the United States, it also examines how health, illness, and health care differ around the world.